A gorgeous cocktail bar and restaurant in St. Augustine, the Ice Plant pours impressive libations filled with locally-distilled spirits and homemade ice. Located in the historic heart of St. Augustine, Florida (the oldest city in the United States, we’ll have you know) the Ice Plant offers both a step back in time and a glimpse of a modern cocktail culture in its prime. We love a good origin story as much as the next site, and our affection for the Ice Plant begins with the building itself. It is housed in a former ice production facility which sold slabs of the cold stuff to assorted businesses and shrimp boats in town around the start of the 20th Century. The Ice Plant bar of today has left many of the original fittings in place, most prominently an old bridge crane on rails above the bar and a smattering of antique tools used for clasping and cutting ice hanging on the side. And speaking of that bar: it beautifully balances out the industrial vibe of the rest of the the building with a light-brick back wall, showstopping round mirror, and marble countertop. 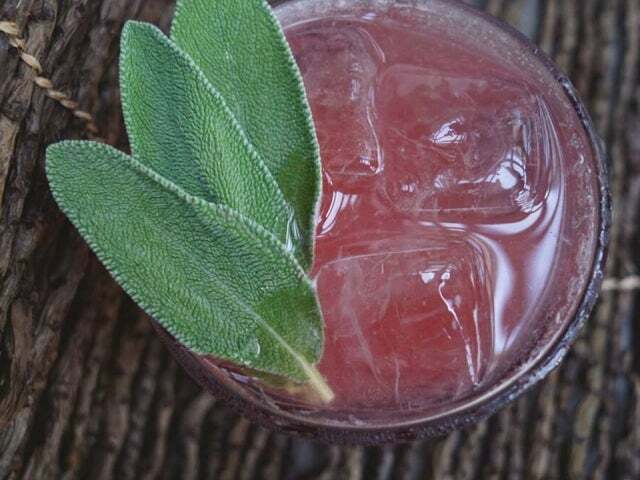 Food here is farm-to-table and full of fresh ideas, but it’s the cocktails that get us most excited, many featuring locally-distilled liquors, and, naturally, custom-cut ice made in-house. A few of our favorites are the Notorious F.I.G (scotch, fig, lemon, French liqueur, and bitters), the My Pomona (local rum, apple butter, lemon, Swedish punsch liqueur, and sherry), and the John Candy (brown butter, whisky, spiced pear, and bitters).